Inergy Apex Solar Generator – Pre-Sale! Are Tools Worth More Than Gold After SHTF? How Much Ammunition Should You Stockpile For SHTF? What SHTF really Looks Like! Escape and Evasion Tip: When Is The Best Time To Move? 12 Things You Can Make With Duct Tape! A Few Tips For Staying Warm When The Grid Is Down! Meals Ready To Eat & Why You Need Them! WHAT IS A BETTER SELF DEFENSE MOVE THAN A PUNCH? Is Body Armor Legal For Civilians? Can Your Home Withstand Civil Unrest? Should You Store Your Magazines Loaded Or Unloaded? Reality Survival is a free online source for learning survival skills. Including the topics of Wilderness Survival, Urban Survival, Disaster Preparedness and Bushcraft as well as Escape and Evasion Survival Skills. I also provide in depth and quick bench top reviews of new outdoor survival and prepping gear as well. 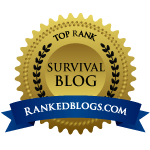 This blog is also an extension of my RealitySurvival Youtube channel as well. Be sure to subscribe to it by clicking the YouTube button on the right hand side bar to get the most up to date videos! On this blog I use a variety of methods to pass along great tips and tricks as well as those good to know survival hacks as well! I occasionally also do some long form traditional education style videos too. This site is organized in six basic categories. The four main categories are complimentary to each other. The first two are Wilderness Survival and Bushcraft. Bushcraft is the art of practicing survival skills and techniques before you need them and the wilderness survival section focuses on the utilization and application of those skills and techniques in a real world emergency setting. The second two sections are Urban Survival and Disaster Preparedness (or Prepping). As with the other sections Prepping is getting prepared for a bad disaster before it hits. Whereas Urban Survival is utilizing skills and preparations for survival after the disaster has struck. I also have a category for Escape and Evasion and a Miscellaneous section as well. All you need to do to navigate to any section is to scroll down and choose from the topic you want to learn about. Inside each of the main categories you will find material on a wide range of topics including but not limited to: fire building, shelter construction, how to purify water, land navigation, edible foods, fire starting materials, water sources, and a ton of great gear reviews and escape and evasion skills and tons of great prepping tips. You can also use the search feature to search for a specific topic as well. Enjoy the site and please feel free to leave comments and ask any questions you may have! I do my best to answer all comments and questions. Use All Of The Affiliate Links Below To Support Reality Survival! GET 20% OFF BY CLICKING BELOW! 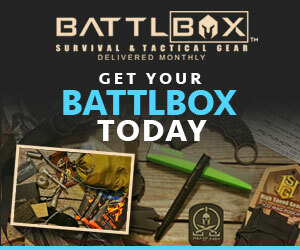 SHOP PALMETTO STATE ARMORY HERE! 15% off by using “afREALITY15” at Checkout! SHOP AIR GUN DEPOT HERE! 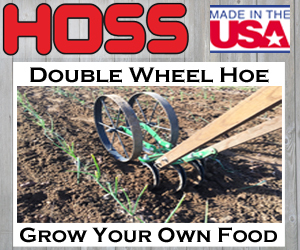 SHOP HOSS TOOLS BY CLICKING BELOW! SHOP ONTARIO KNIFE COMPANY HERE! SURVIVAL & PREPPING SUBSCRIPTION BOX! MYLAR & FOOD STORAGE SUPPLIES! 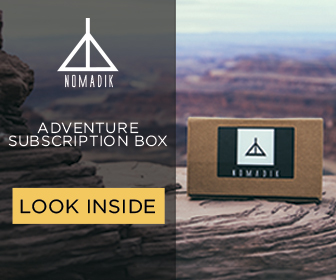 CAMPING & HIKING SUBSCRIPTION BOX! 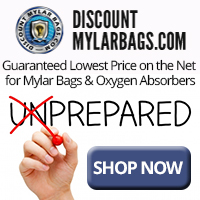 GET CHEMICAL DECON ITEMS HERE! Fed Health – Its A Disaster! Copyright © 2019 Reality Survival. All about prepping, wilderness survival & bushcraft techniques, gun, knife and outdoor gear reviews!